It’s easy to forget what we were working on, especially when it was days or weeks ago. Timeline helps you jump back into something you were doing – like working on a document or browsing a website – on your phone or any of your Windows 10 PCs. Share activities with others straight from your timeline or remove the items that are no longer relevant. How can I get timeline on my phone? You can access timeline activities on the go with Microsoft Launcher for Android. At the moment, we only display activities associated with your personal Microsoft account. Work and school accounts will be incorporated in a future update. What should I do after I install Microsoft Launcher? If you’re signed in with your Microsoft account, swipe over to your feed and select the timeline tab at the top of your screen. How do I sync my activities? 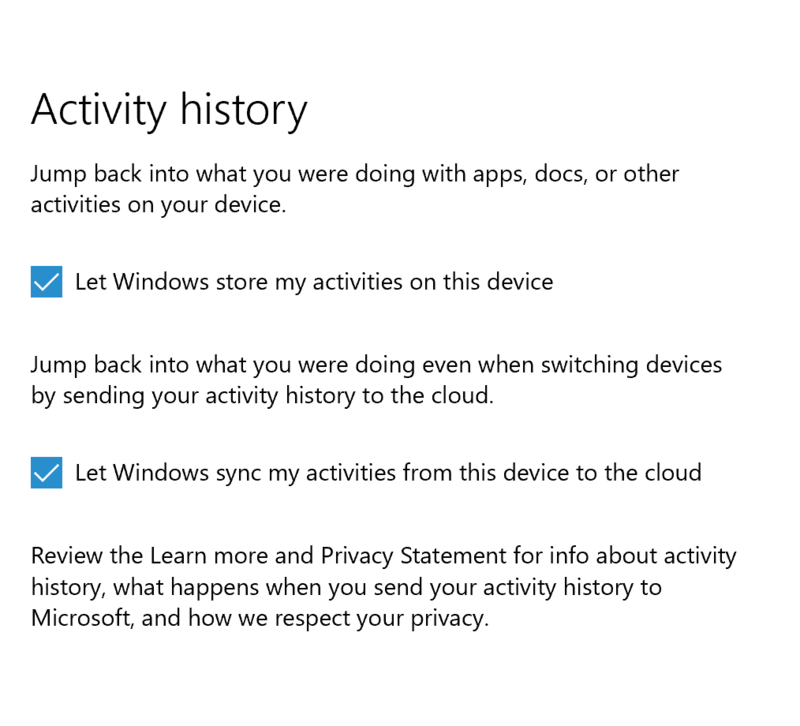 If you aren’t seeing any activities after you’ve signed in, double-check the timeline settings on your PC by selecting the Start button > Settings > Privacy > Activity history, then select the check box next to Let Windows collect my activities from this PC and Let Windows sync my activities from this PC to the cloud. If you aren’t seeing web browsing activities on your timeline, you might need to share your browsing history with Microsoft. On your Microsoft Edge mobile app, select Settings > Privacy > Share browsing history.